Sad times ahead as my lovely senior design colleague is leaving for a new role on Friday.. Tonight we went out as a team to say goodbye and it was lovely. 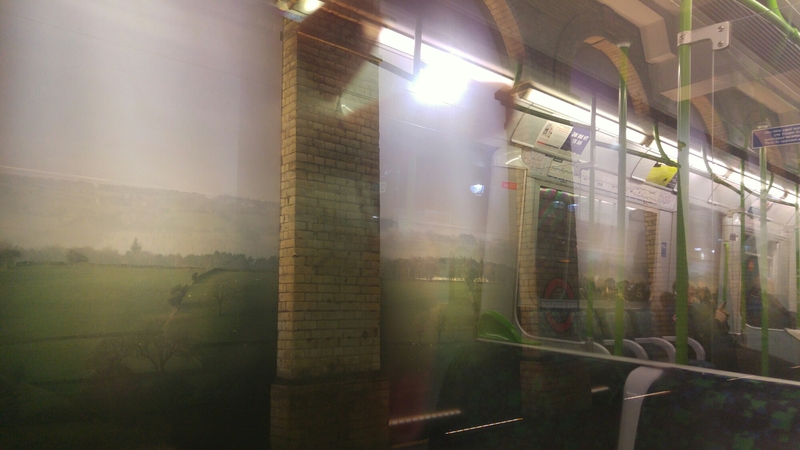 I took this passing through Gloucester Road station on the district line on the way home. I thought it was ruined from the reflection but I actually really like how it turned out! Illness wise I’m feeling a lot better now, I’m still a bit rough but definitely on the mend.